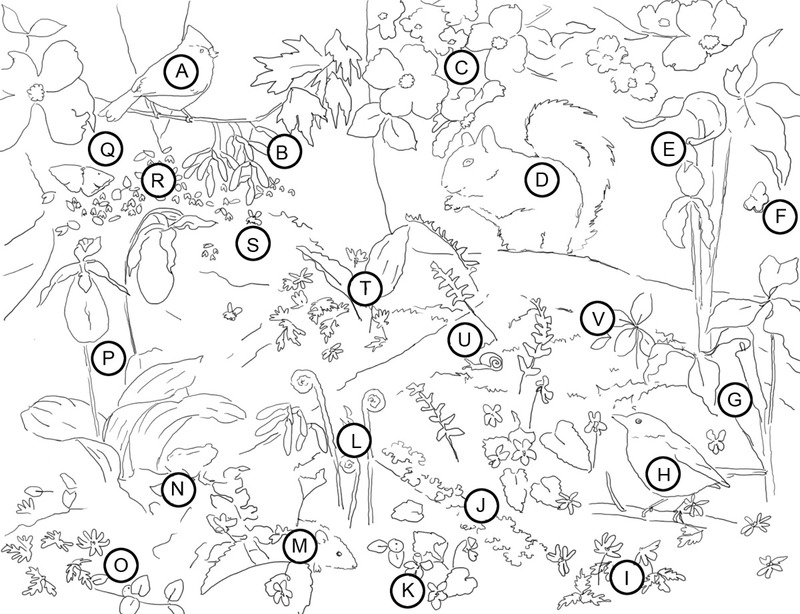 How many of a spring forest’s treasures fit into one painting? 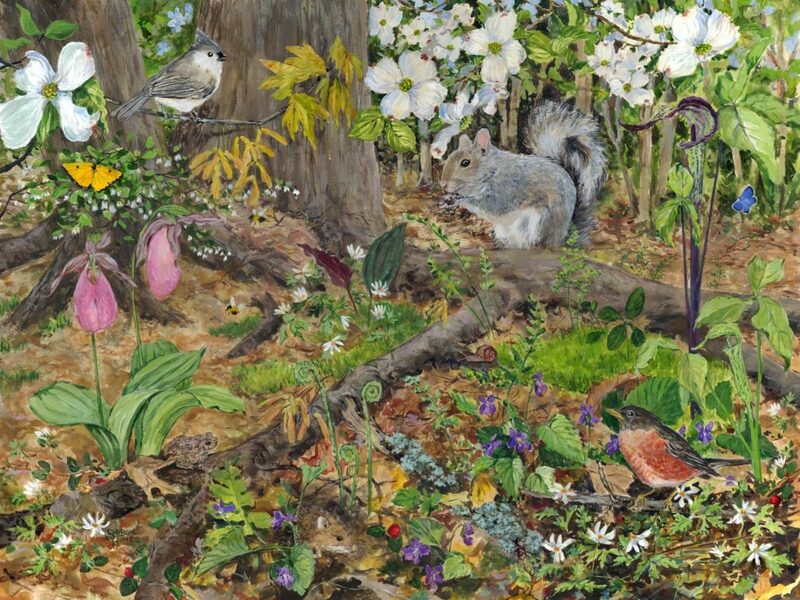 This busy painting depicts many of the wildflowers, small animals and birds that are found between mid April to mid May in an eastern forest. 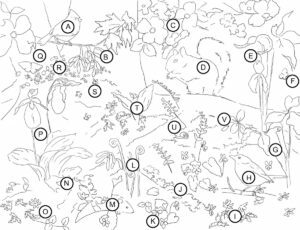 Can you find the toad or the shy deermouse? The original painting is 18×24″ painted with fluid acrylics on watermedia board. Email for information and availability.